Modernism is the cultural renegotiation of what is new, what is modern and what is not. After learning and discussing a few things about our own Modernity like recently the man who jumped from the edge of the atmosphere using modern technology to keep him alive and become the only man to ever do it, and the theories and views behind modern climate with global climate change e.g. icecaps melting and more extreme weather etc. We then was asked what do we mean by modernism? obviously we had the definition down but that was not the question, none of us was really sure but we all thought it was something to do with the industrial revolution with the advancement of production/ technology emerging. The answer was: The period between roughly 1880 and 1960, A move away from art trying to realistically represent the subject – developments in practice and innovation. So I was wrong partially as the industrial revolution was up to 1830 but no doubt this event inspired modernism to be achieved as advancement has always been a part of the human existence. 1. Industrialisation: A period which involved things such as, mass production, the building of more cities, emergence of different types of jobs/ work due to it, of the 3 original sector classifications industrialisation was the expansion mainly of the second sector which was manufacturing and processing. much of the processes of industrialisation was power by the new technology of coal power rather than pre industrialisation which was the likes of wood burning or water power etc. This mass production method is still clearly in existence with relevance to my area of study of games GTA V sold $1billion worth of games in the first 3weeks of launch. 2. Social Changes: The changes of industrialisation affected social aspects as urbanism increased which is the development of the modern city and its population, the rise of leisure and the alternations in leisure activities such as gaming itself or computer use especially when you bring up the fact that 45% of the gaming industry is now female (http://www.theesa.com/facts/gameplayer.asp) and the planet spends 3billion hours a week playing games so that’s a huge social change from the days before video games and the impact gaming has had on the world. 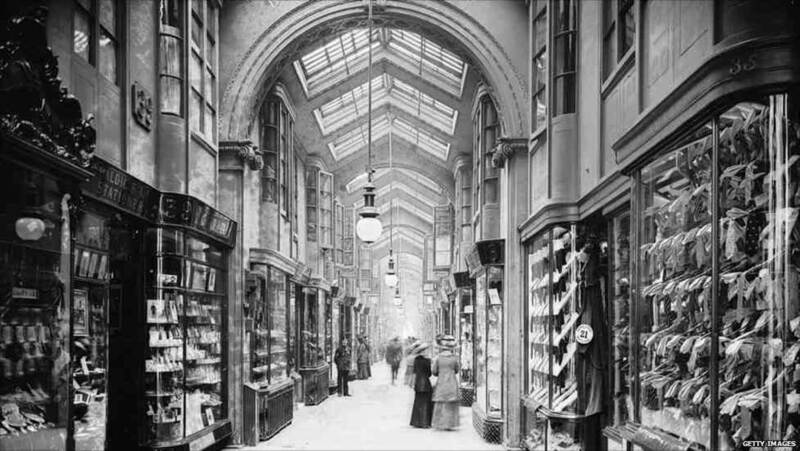 The second black and white picture is of Burlington arcade, the worlds first shopping arcade in 1819. The world first video game SpaceWar by Steve Russell is a prime example of modernism and its beginnings as then we had SpaceWar! now we have the likes of Killzone: Shadow Fall the most visually amazing game I have ever come across. This suggests that without the light bulb society and modernism would have just continued as it was nothing would have advanced, as you can see this is evident as quite a lot of today’s technology is powered by electricity e.g. TV’s, Laptops, toasters, light bulbs, digital items, chargers and so on, clearly the light bulb and electricity was a huge breakthrough resulting in modernism advancing due to it. Technology today is produced for a purpose like to advance society, personal gain in financial status, bring about a certain condition in the future or solve a problem, all things that are fundamentals in todays world. 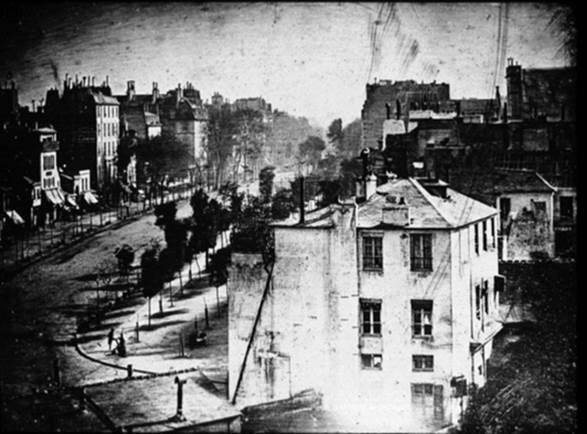 The image I entered for point number 3 is a photograph of Paris but it is considered to be the first photograph to have people in, it was done by light exposure back then so things had to be very still for a long period of time to pick them up and the 2 people involved in shoe shining was still long enough to be captured. (Louis Daguerre, View of a Paris Boulevard 1839). 4. Political Changes: events such as the World War 1 and 2, views such as communism, fascism and racism, changes in rights so suffragettes woman’s evolving rights, a evolve in public challenging traditional authority (votes, riots, movements etc.). 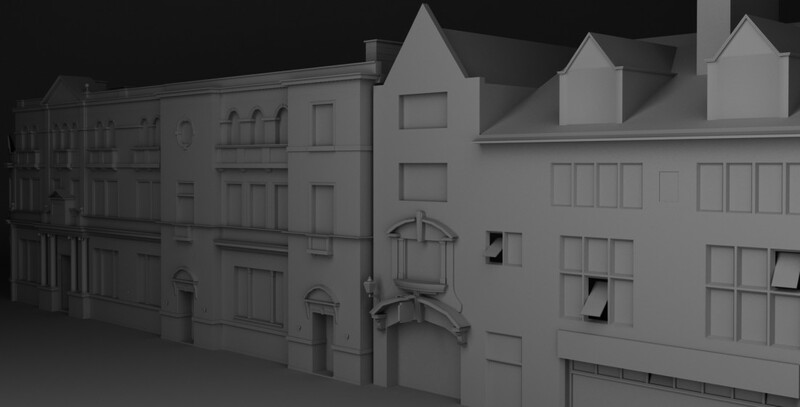 Things such as the World Wars have lead to inspiration and conflict in games such as Call of Duty and other violence related war games being produced. In Korea there is a division in there army that teaches them how to fight inn combat to test there skills by playing computer games, also the new technologies of the likes of drones and remote controlled vehicles has allowed armies to just sit safe at base whilst completing operations on a computer screen just like a game. advancing technology was always the focus during the World Wars each side wanted to have the upper hand, invention of machine guns, tanks, jets, helicopter and so on all killing machines designed to beat the enemy. 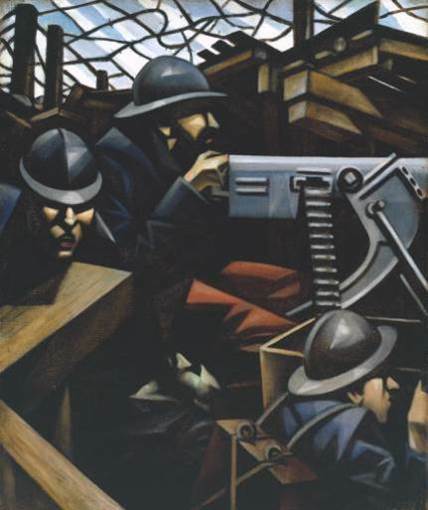 This image on the left is a painting (Christopher Nevinson, Machine Gun, 1915) First/ Second World War – official war artists sought to depict the human relationship between the technology of war and its destruction. It wasn’t only artists who did this the TV show Blackadder did a series on the World War although it was designed to be humorous about the War it did end in a heart wrenching manner with them all being shot down by the enemy machine gun under direct orders to “go over the top” as it was called but not to shoot back just slowly walk towards the enemy, this idea was clearly mad as it lead in destruction but the TV show perfectly displayed the destruction behind the war and its technology in this scene. Things I learn from this lecture: a lot really I was a bit on the confused side when it came to the idea behind modernism I knew about it as you can see the technological advancements behind it but to know in depth what its about and what things were the ignition to most of it is a thing I never took the time to involve myself in. 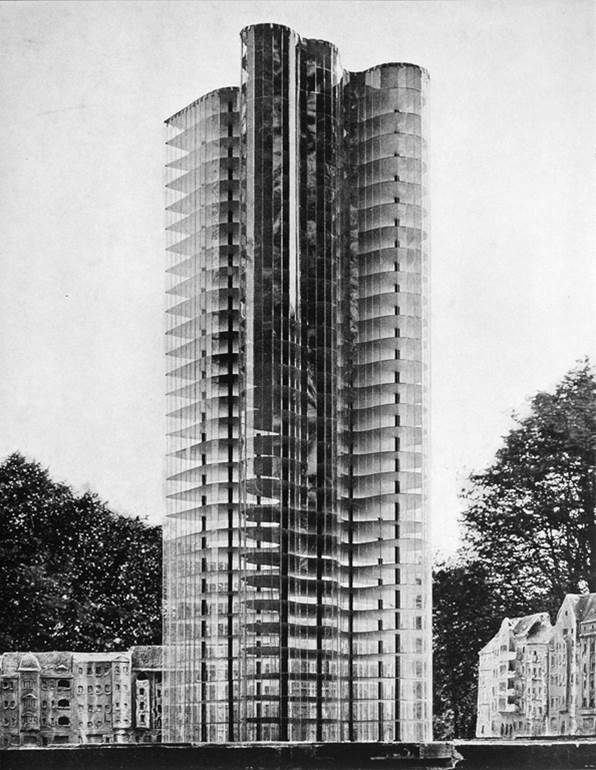 Things like the first skyscraper, the first people captured photograph and the first shopping arcade were just things I didn’t know about or I didn’t realise the significance behind them as they are the starting points of the future as it is now e.g. for camera they are now instant capture most of them digital and how 12x optical zoom on certain models. it was interesting to after this lecture go do some individual research on top of this on industrialisation as the lecture made me realise how little I knew on the topic the websites I visited are at the bottom linked in related content. My analysis task did relate in a way as it was relevant to the political changes as when I discussed the topic of children’s intake of the violence in the video games its a topic that has been politically discussed for many years now whether it affects them mentally or not to be violent. This rounded up our lecture as we each then had individual tutorials on our visual analysis task, which I felt went very well for myself my tutor said she felt I did a very good job of the work and that I covered the bullet points set in the brief for this particular analysis task well with useful backing up of my points when using my own personal opinions. Which was good as I didn’t have to repeat the task to improve or edit my work as it was evident I had understood previous lectures well to do with the analysis. Then I showed her my log book entries just as a check up on the work I have been doing and to see if I am on the right path, this also went well as she said the detail and depth of the work is of a good standard as well as my individual related posts research on each of the log books, but she did say I need to reflect more on what I learnt in the lessons. Categories: CATS, Log Book | Tags: CATS, log book, Modernism, PHASEgaming, research | Permalink.